Daughter is relocating to Detroit, finishing a BSN program. Are there agencies/facilities you would recommend for per diem CNA employment? Thanks! Mine is a similar story. Lifestyle-wise, it was the best decision for my family as I was able to be home summers and the afterschool hours (at the time, I had two teens and a 10yo). Though I took a 20% pay cut, it was a much less stressful gig and I did supplement with a bit of per diem work during weekends. After 10 years, I now make a bit more at school than I would have if I had stayed at the hospital. Thanks for the feedback! Here in northern New England, as well, acute care settings would likely not hire a new grad as a per diem, but long term care absolutely would. Do you think LTC would possibility for per diem employment in NYC? LM NY, as I said in the original post, daughter is also pursuing arts-related professional interests--she wants flexibility to work around auditions and rehearsals. Hi, all! Daughter is a soon-to-be BSN (has been an LTC CNA for years) and planning a move to Brooklyn. What are the per diem nursing opportunities in Brooklyn for a new grad? She will also be pursuing arts-related professional interests, so won't be looking for full time and needs flexibility. She won't need benefits (can stay on mine for a bit). Any suggestions/feedback appreciated. Thanks! Asking for my daughter, who has two years LTC experience. What hourly rate do Agency LNAs make these days? Thanks! Should I join a teachers's union? Whether or not you are a dues-paying member of the Association, you are a member of the bargaining unit and already entitled to all the benefits in the teachers’ contract. I do recommend you join and pay dues, as the dues go toward supporting the work of the union (negotiations, grievances, union staff, etc.) that got you those benefits to begin with. If the school nurse is listed as recognized in the collective bargaining agreement, you get all those benefIts EVEN IF YOU DO NOT JOIN THE UNION AND PAY DUES. If you haven’t already, get a copy of the collective bargaining agreement (HR or your union rep can get you this; some states even have the agreements available online). If you are not receiving all the work day benefits, such as a lunch period and planning periods, prep days at the beginning and end of the school year, etc. remind your principal that you are covered by the union contract and that these need to be supplied. If the principal balks, then contact the union—again, the union is required to assist you as you are a member of the bargaining unit. My first two years at my school, I was not aware of what I was entitled to and never took lunch as I had no coverage for my office. Once I realized I was entitled to these things, I spoke with the principal who has since provided me with one hour per day of a CPR/ first aid trained paraeducator; she covers the office for first aid only for my 20-minute lunch. The remaining 40 minutes I spend catching up on paperwork while she handles recess first aid. I am still available for meds or crises, but she handles the run-of-the-mill skinned knees. The one hour per day is the deal we struck to provide me with the equivalent of the teachers’ lunch period and planning periods. I have been a dues-paying Association member since my first year as I am pro-union as well, and I STRONGLY encourage you to join, but one way or the other, don’t be afraid to insist on the benefits you’re entitled to. Asking for a friend moving into greater Boston from a southern state with a much lower cost of living--and lower pay rates-- than MA. What is an appropriate base rate to ask for when interviewing for trauma/progressive care positions with a BSN and 3-4ish years of experience in a similar seting? NELRP is there a thread? That was on 8/15, and she just got her second signature today! Could you share with us what percentage is being withheld for taxes? Thanks! Thank you, Lord!!!!! My daughter just got her email, "Finalist for Award"!!!! RN, Tier 1, DSH, greater than 200% debt ratio, in FL, last name begins with "L"
CONGRATS to all who have heard!!!!! No email for my daughter yet-- She's an RN, DSH, tier 1, and greater than 200%, so I continue to pray! Her ap went in right before the deadline (still "under review")--I wonder if order of submission has anything to do with the order in which folks qualify? What's your school's practice when kids come in with too-large crutches, old orthopedic boots, braces, etc. --no MD visit-- that the parents want them to wear at school because "he sprained his ankle and I already had it at home and I'm not taking him to the doctor because I know what it is." Under a previous administration, I was supported in requiring an MD note (discharge instructions from ED or urgent care), or no use of the equipment at school. (We do provide supervised use of a wheelchair --and a strong recommendation to take the child to urgent care--if a child truly can not weight bear comfortably) Current administration worries that I'm too tough, and that it leads to dissatisfied consumers. I've been asked in future to review the item--and the child's use of it-- for safety, and if it appears safe the child should be allowed to use it. I have no training in assistive devices and do not wish to assume this liability. What is your practice and would another professional--perhaps OT--be better suited to this "safety review"? I recently asked my principal if we could enact a policy next year for Pre-K through grade 2 to have a change of clothes in their backpacks. The use of my clothes closet has gotten out of hand and I'm lucky if things are returned even 20% of the time. I'd rather put the onus on the families, with my closet as back up, and, if nothing fits or appeals to the child, then parents can be called to bring something in. I often have kids refuse my clothing selections as not pretty enough or not nice enough! My daughter's application (we're both RNs) is now "under review." Last time we had checked it was still pending. The ap was submitted just a day or two short of the deadline. What does your camp pay for RN sub coverage? A couple of local camps are interested in having me cover time off this season. What do your camps pay for RN sub coverage? I no longer have a camp-age child, so I can't look at that as a tangible benefit. I don't want to price myself out of the market, but I don't want to cheat myself, either. Any suggestions of how much to ask for? By way of history-- I've done three seasons as a camp nurse (my last full-time season was the Summer of 2007). I've been a School Nurse for five years and prior to that did ICU and Emergency Nursing. During the summer of 2010, I was very fortunate and got a sub/fill in position at a local camp for which I was very well paid. Sometimes I did 48 hours over a weekend, sometimes just sleepovers, and sometimes just a day-or even afternoon-here and there. I know that rate of pay wasn't representative. I was lucky that the Camp Director, who had seen me nursing my elementary school kids during conservation camp, really respected my abilities and wanted to compensate me appropriately. He has since moved on. 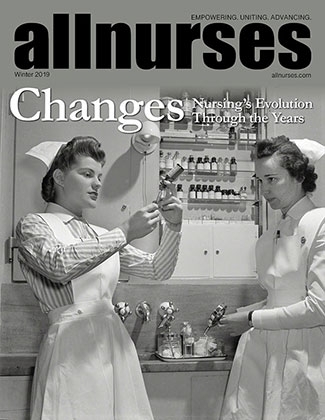 Back in 2007 when I was a full-time Camp Nurse, we paid our RN subs $100/24 hours coverage. When I subbed in 2010, I made nearly twice that. What's the going rate? What do your camps pay for back-up coverage? I appreciate any feedback!